The O.W.L.’s Magical Readathon is hosted by Book Roast on YouTube and runs for the month of April. It’s inspired by the O.W.L. exams in Harry Potter and later in the year she will host the N.E.W.T.’s as well. I’ve seen this readathon happening before but this will be my first time taking part. It seems like it’s a bit more complicated than most readathons but it’s actually the same, she’s just created a more in depth story to go with it which I just love! This year Book Roast has created a PDF booklet of Wizarding Careers to help you choose what subjects to sit for you O.W.L.’s, which basically means what reading tasks to complete. I’ve chosen Journalist/Writer for my career which means I must complete Muggle Studies, History of Magic, and one other subject of my choosing. I have so many books I could read for this. Harry Potter would even work but I will most likely go for a classic….or maybe an older urban fantasy book since I will be combining the books for this with Vampire Wars on Goodreads. I’ll have to wait and see what works but I’d like to read…. ‘I am a camera with its shutter open, quite passive, recording, not thinking,’ are the famous lines on the first page. This a semiautobiographical account of Isherwood’s time in 1930s Berlin. 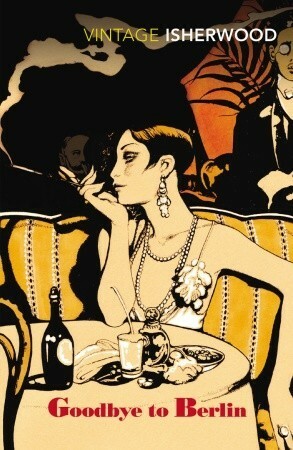 Written as a connected series of six short stories the book, first published in 1939, is a brilliant evocation of the decadence and repression, glamour and sleaze of Berlin society. Isherwood shows the lives of people at threat from the rise of the Nazis: Natalia Laundauer, the rich, Jewish heiress, Peter and Otto, a gay couple andthe ‘divinely decadent’ Sally Bowles, a young English woman who was so memorably portrayed by Liza Minnelli. But things get even crazier when a zombie movie starts filming in town, and Angel begins to suspect that it’s not just the plot of the movie that’s rotten. Soon she’s fighting her way through mud, blood, bullets, and intrigue, even as zombies, both real and fake, prowl the streets. Angel’s been through more than her share of crap, but this time she’s in way over her head. She’ll need plenty of brainpower to fit all the pieces – and body parts – together in order to save herself, her town, and quite possibly the human race. I picked this one cause it’s the easiest for me to fulfill. I’m part way through about a million series. 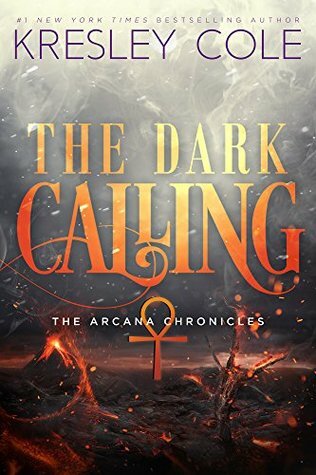 I’m itching to read to next book in Kresley Cole’s Arcana series and the final book is due out this summer so now is the perfect time. So that’s everything I have picked out for the O.W.L.’s. It may change during the month and I may do some more of the prompts but I have a busy reading month in April so it’s unlikely. Are you doing any readathons in April? What a beautifully created readathon! How fun is this? Harry Potter and reading. I love it. 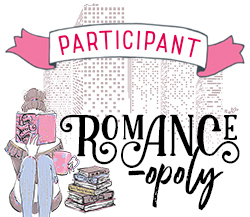 No, I don’t join a readathon, but I do my own each month! That’s great! What goals do you set yourself?